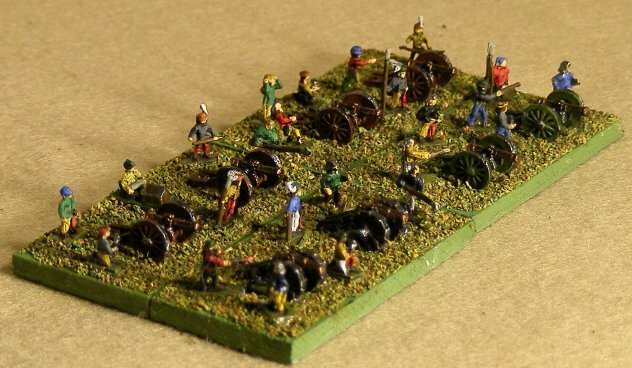 The 'Maximillian' rules are a derivative of DBA covering warfare from 1400-1550 and have both the strong points and weaknesses of their parent plus a few of their own. The mechanisms have been 'hyped up' a bit (for instance you may fight up to 3 rounds of melee in a move) but any DBA player will very soon get to grips with them. The rules are not always clearly worded and the organisation leaves a lot of bits in the wrong places.  There are also many strange bits that we can't yet work out - it may be that more experience with the rules will clarify them but, somehow, I doubt it. So far this probably makes you think 'best avoid these', they sound like hard work and not a lot of fun. 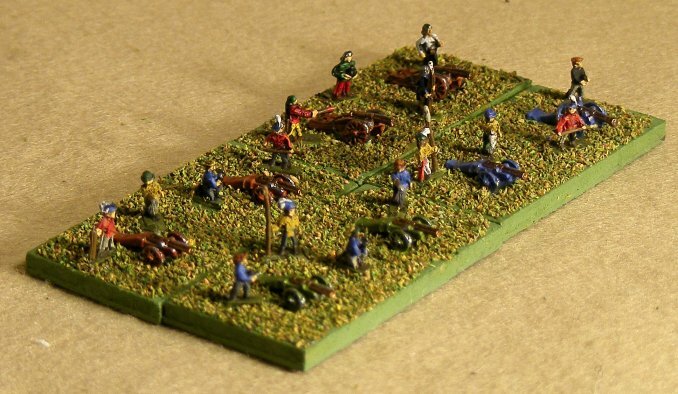 Right - they can be hard work to start with but they do actually work smoothly and quickly and, once you agree what certain rules actually MEAN (and it isn't always what they SAY) they do give a good game that flows well and has a good period 'feel'. The author clearly has quite definite views on how troops behaved in the period and, mostly, I agree - but there are a few anomalies that need to be dealt with and so we are tinkering quite a lot as we go and will probably end up with a very different animal to the original. This page is a bit of a mess at the moment but I just wanted something quick so I could get the pics up with a few notes. 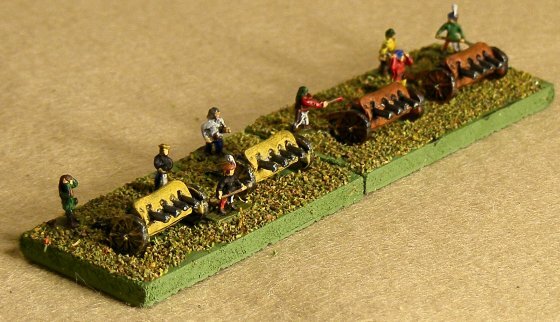 We are getting a couple of games a month in at present so I'll try and get some 'action' shots soon - and some further comments on our progress in working with the rules. 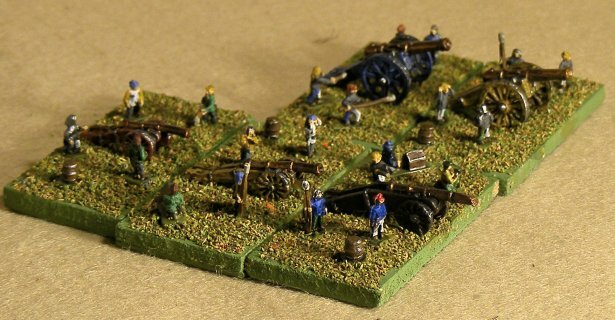 H&R figures are the oldest and smallest of the 1/300th or '5/6mm' ranges and, because they are not always finely detailed, using items from ranges other than the Renaissance one is quite possible. 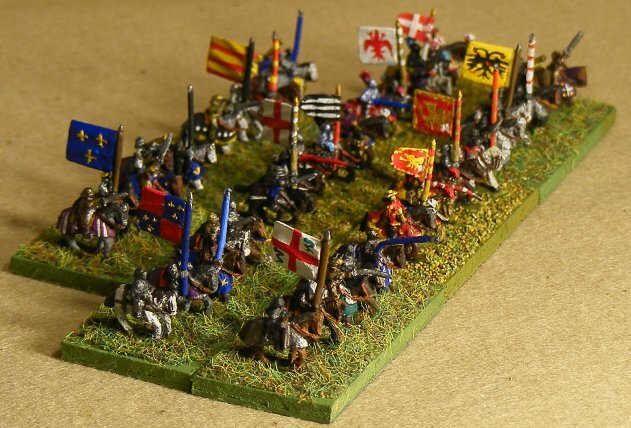 The Medieval range is as well represented in these armies as the Renaissance range. The figure are fairly 'delicate' and pikes and lances get bent a lot but the metal is soft enough so ebnding them back hasn't caused any breakages yet. 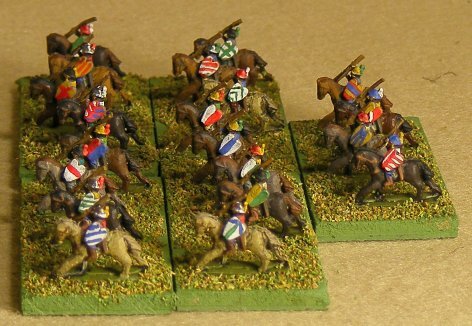 Mounted elements tend to be quite versatile in Maximillian and a charge by the Gendarmerie can often be the decisive blow in a battle but having flanks open to enemy Light Cavalry can be just as fatal. 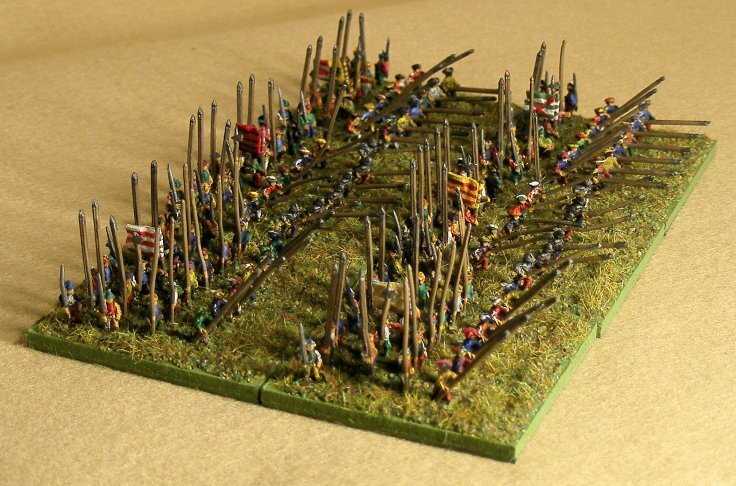 Pikes are the 'steamroller' of your army and delivering a pike assault successfully can be devastating. You do, however need them by the bucketful (or should that be canton-full) and they don't come cheap. Missile Foot are the 'coming thing' during the Renaissance and they can be effective at disrupting enemy attacks and preparing the way for your own. Firefights tend to be a bit drawn out but numbers usually tell. Just don't leave their flanks unprotected !! 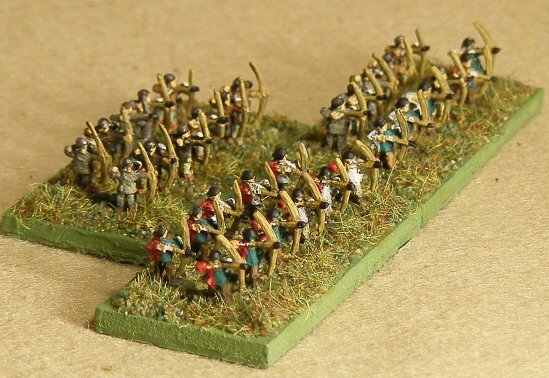 English Longbows get special abilities in the rules but, as we only do the Italian Wars are present, I've only painted a few of them. 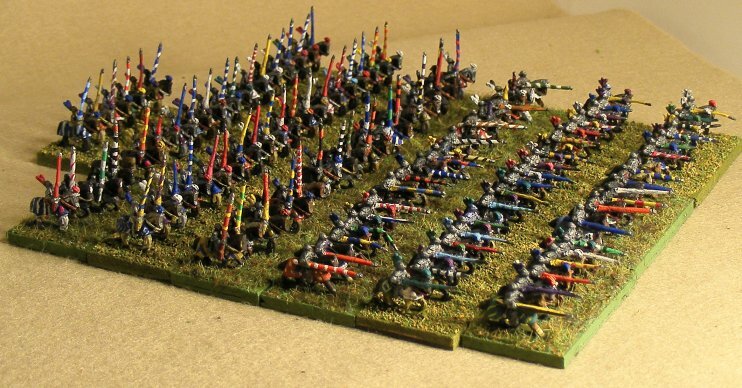 Spearmen are weaker than in DBA and Halberds are DBA Blades with Swordsmen as their slightly less effective cousins. Forlorn Hope are a nice touch but I'm not convinced that the rules model them well. Unlike DBA, Light Foot can shoot in Maximillian.